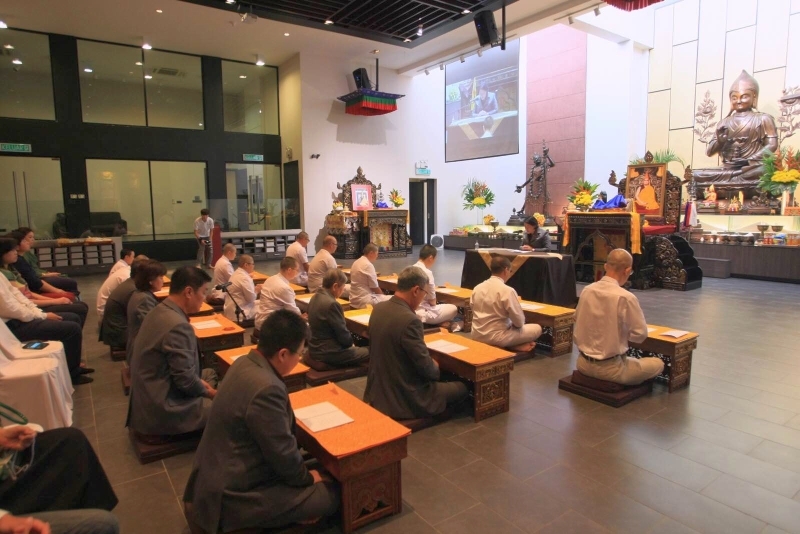 Four years ago, we had our first pastorship ordination ceremony in Kechara House which is our gompa (main prayer hall) in Kuala Lumpur, the capital of Malaysia. At that time, I ordained four pastors. 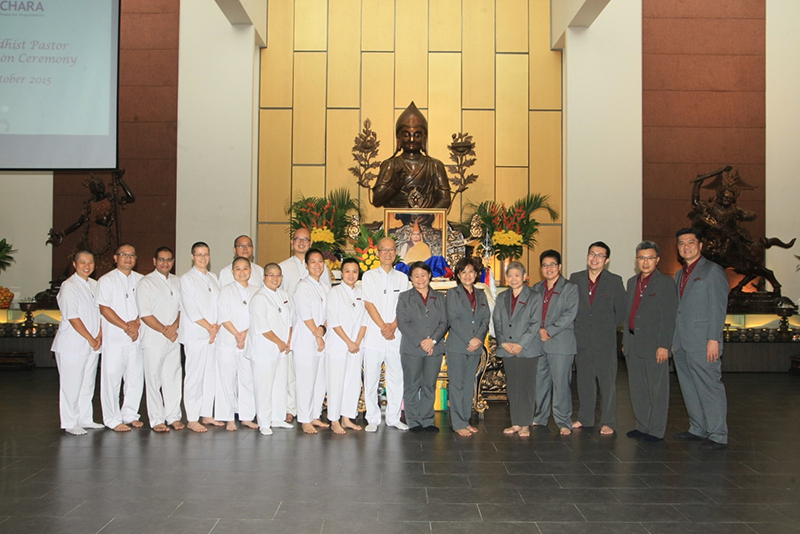 Now in 2015, we have 17 pastors of which 10 have requested to become fully ordained monks and nuns in the future. 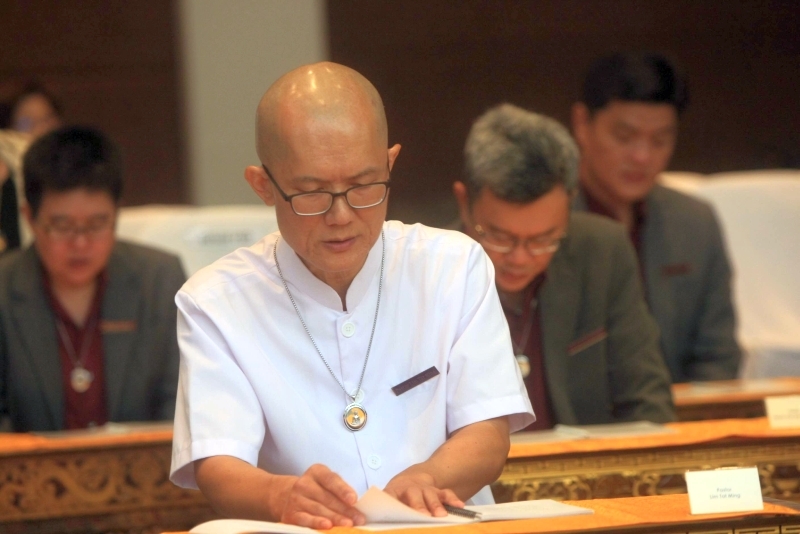 The other seven are lay pastors who conduct their duties as pastors and also hold the pastors’ vows, but they are not seeking monk or nun ordination in the future. I am very proud of our pastors who work extremely hard to benefit and assist others. 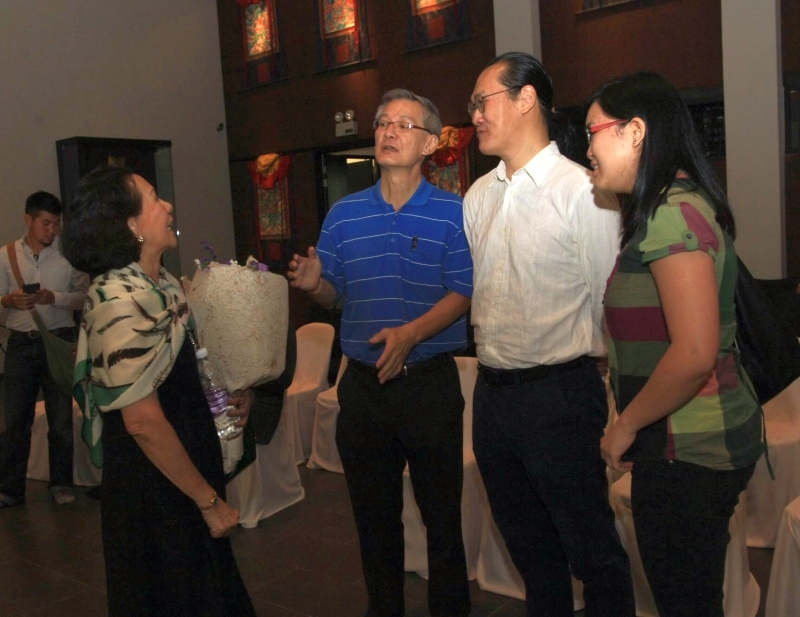 They are led by the Head Pastor Kok Yek Yee and together, they cover many roles in our organisation. Some of our pastors build, some of our pastors teach, some of them conduct pujas and do blessings and others assist me directly. As I mentioned, more than half of our current pastors have requested to become monks and nuns in the future, and that is why they wear white robes. This is to distinguish them from the lay pastors who wear maroon shirts with grey jackets and pants. Becoming a monk or nun is not an easy thing to do in today’s world. Society expects you to grow up, go to school, get a job, have a family and grow old and retire. That is what is considered ‘normal’ and to be a monk or a nun in today’s world is considered strange, odd and something that invites comments and maybe even criticism and scorn. But I always wanted to become a monk and the comments and criticism and obstacles never scared me. Even at a young age I always thought how is it when people do everything that society expects them to do, and they are on the ‘normal’ and ‘right’ path, so many thousands of people are still unhappy and depressed? I really did wonder this and I looked at everyone around me as an example. Just think back to your own life before you met the Dharma – did you come to the Dharma because everything was okay with your life, or did you come because you feel something was missing and there was more to life than just everyday routine? So like I always tell my students, why not try something different and go all the way with Dharma? When you commit and go all the way in your spirituality, it can only lead to successes because there is nothing in Buddha’s teachings that will hurt us or harm us, or lead us to becoming unhappy. 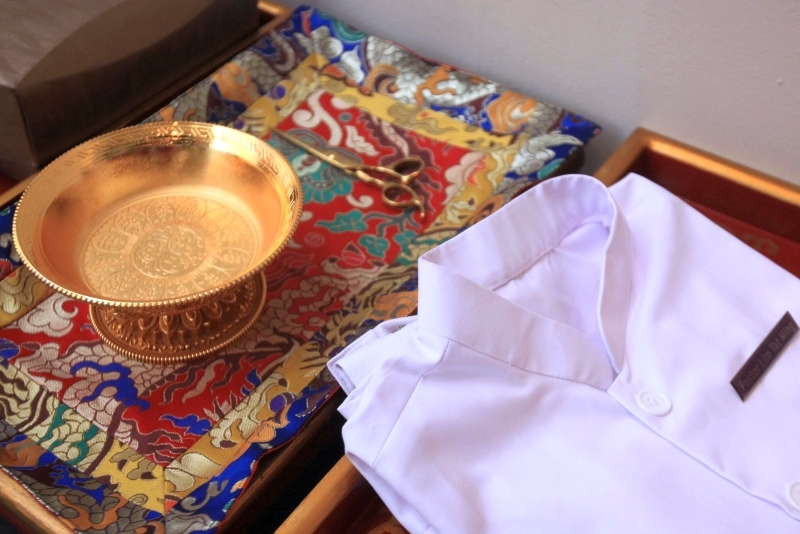 And within the Buddhist tradition, there is no higher commitment to the Dharma than taking on the robes of an ordained monk or nun, holding the Vinaya vows well and keeping the Buddha’s teachings alive by actually living and practising them. 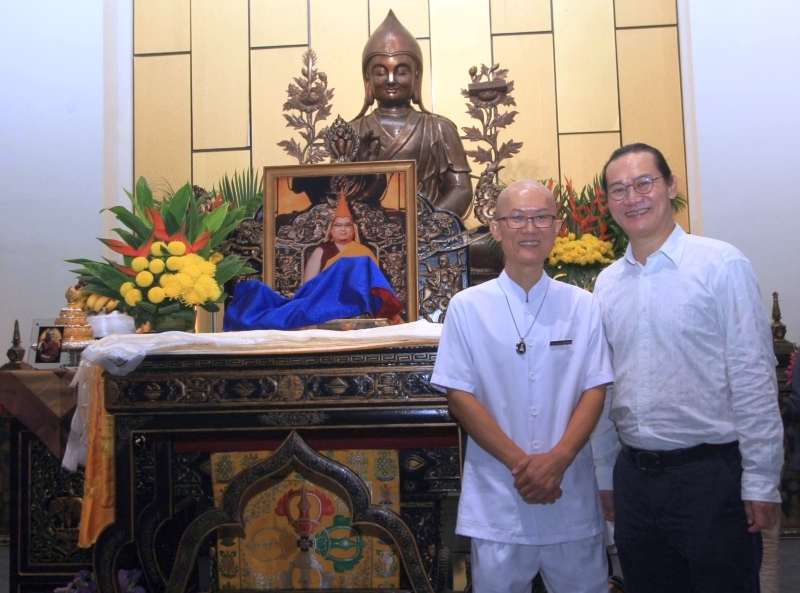 So when Lim Tat Ming requested to become a monk, I was extremely happy for him to hear this because I know it will benefit him a lot, as it does for anyone who becomes ordained. 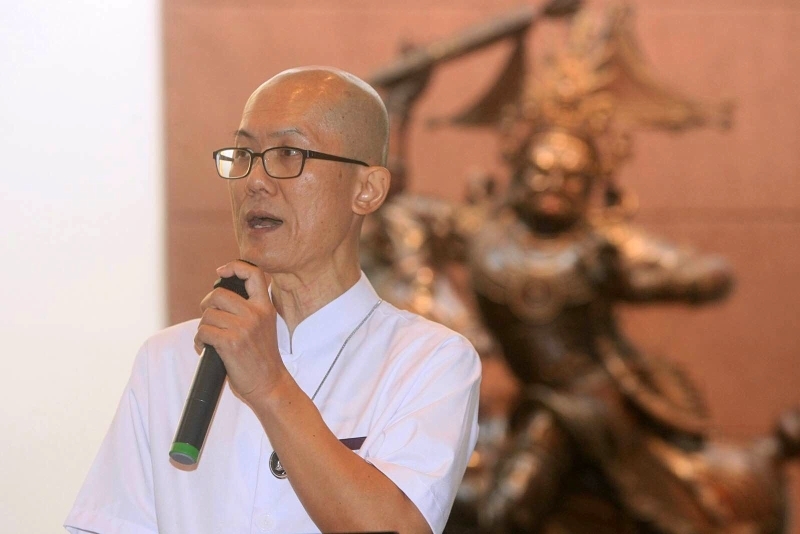 Pastor Tat Ming has also been studying Dharma for many years and has a lot of knowledge to share, and has grown to become one of the teachers at Kechara House. 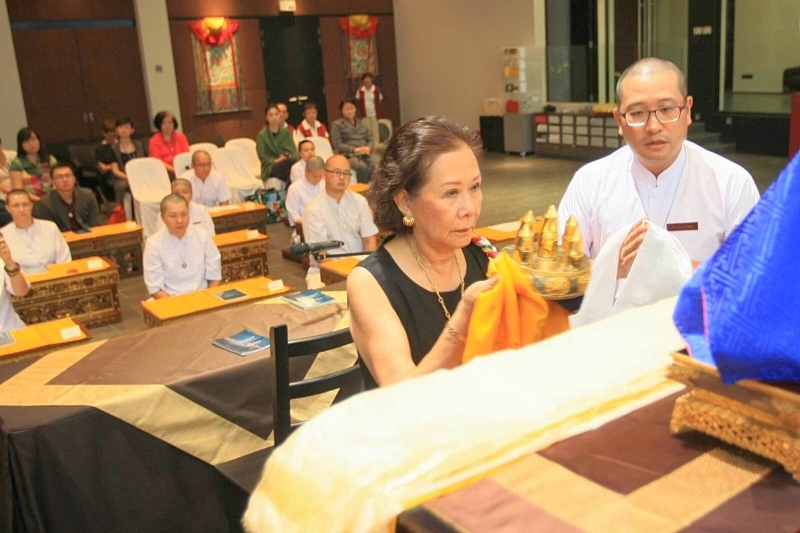 People tell me Tat Ming is very patient, speaks and explains well, and is very sincere when he does pujas and rituals with the Puja House team. 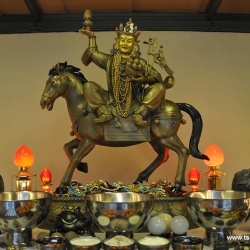 He has very deep belief in the the Dharma and genuinely believes it can alleviate others’ pain. So now that he is becoming a pastor, he will have the blessings of the vows for him to spread his faith and enthusiasm, and the benefits of the Dharma to others. 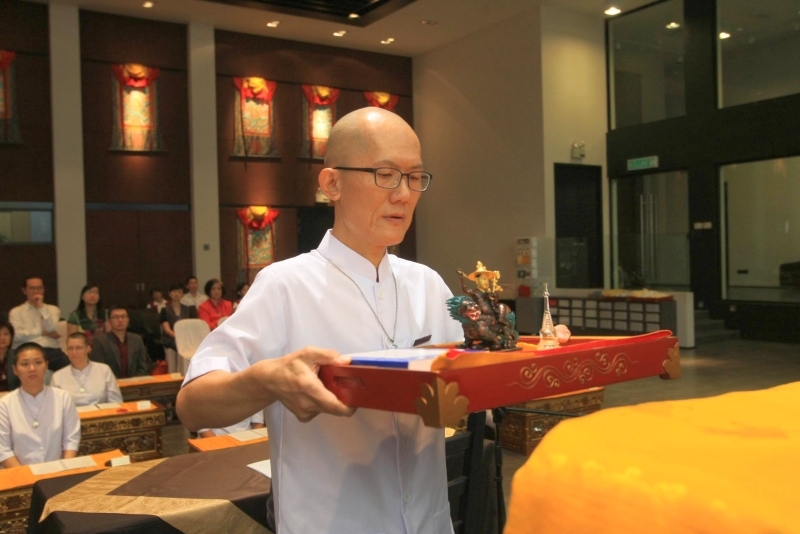 All of the pastors gathered in Kechara House on October 30, 2015 where the Head Pastor Yek Yee conferred the pastorship vows onto Pastor Tat Ming. The current pastors also took the opportunity to renew their vows. 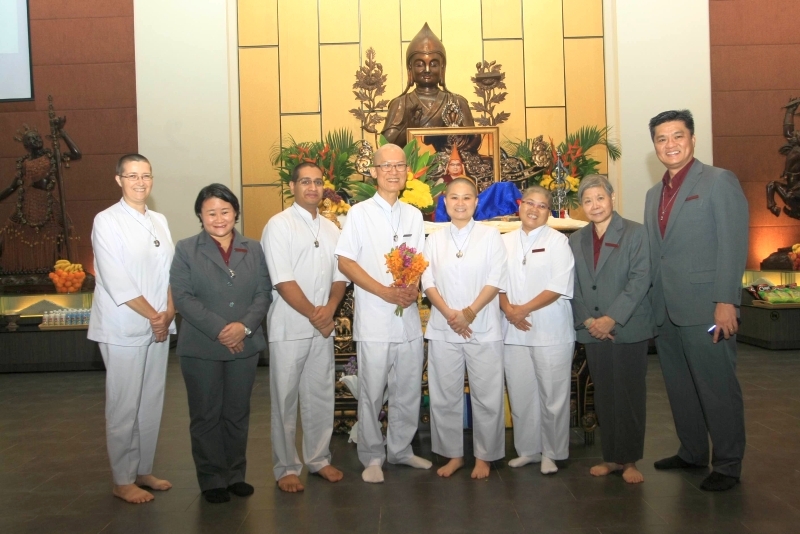 After the ceremony, for auspicious reasons, Pastor Tat Ming gave his first Dharma talk as a Pastor which I have reproduced below for you to read. There is also a short biography of Pastor Tat Ming so you can know a little more about our newest Pastor. I congratulate Pastor Tat Ming on taking this first step towards full ordination in the future. 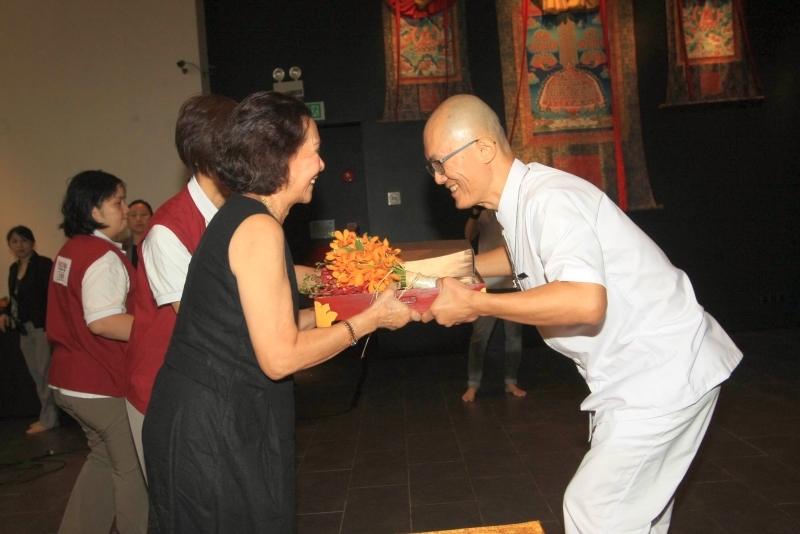 May there be many more like him to follow in his footsteps as I wish very much for Kechara to have a thriving Sangha community which keeps Lama Tsongkhapa’s tradition alive through their active practice. Good Morning Kecharians and friends. 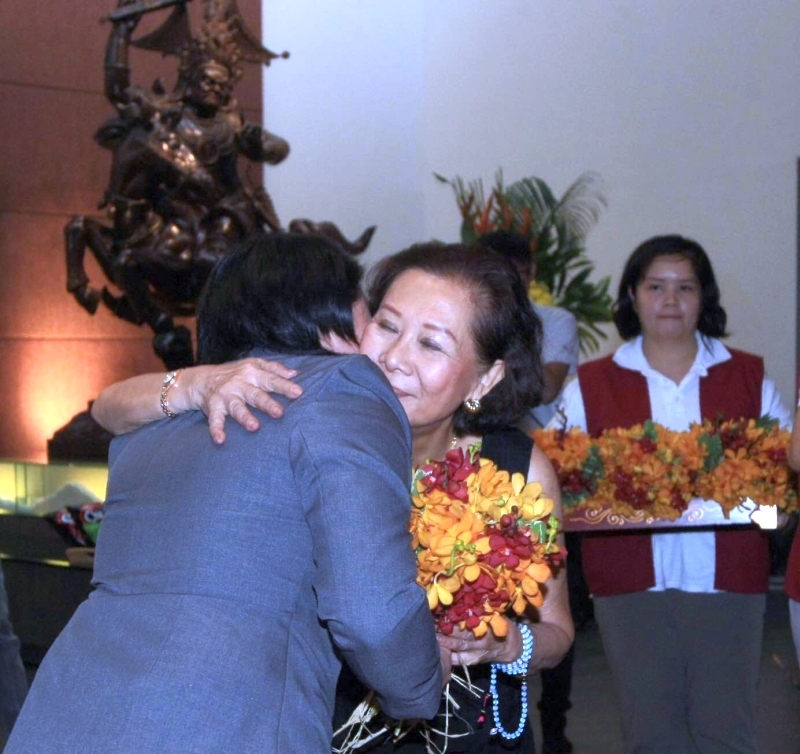 First of all, I would like to thank everyone for taking the time off to attend and witness this special event. I would like to specially thank my guru H.E. 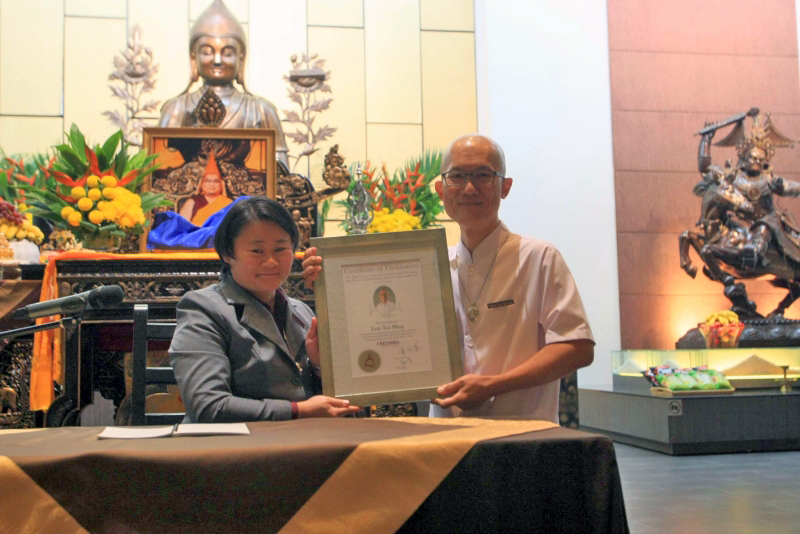 the 25th Tsem Rinpoche for giving me the blessings to be ordained as a pastor and a monk to be. 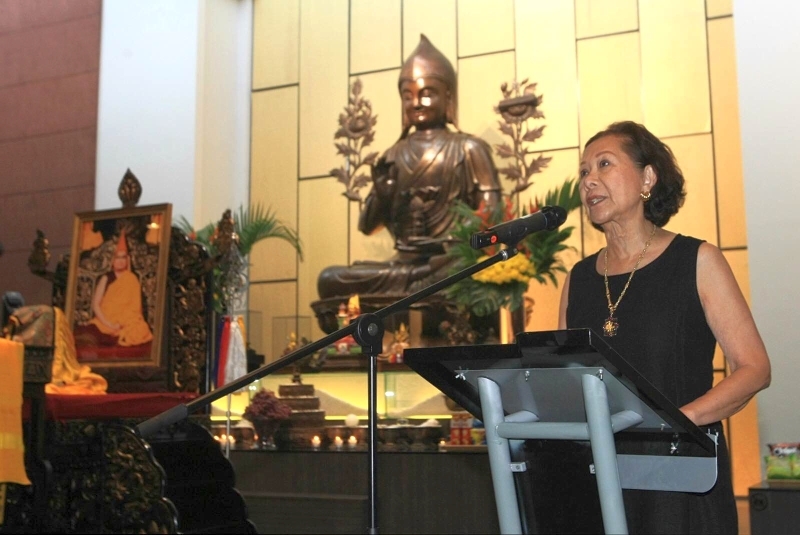 I would like to also thank the Kechara Board of Directors for my appointment as the Kechara Pastor. Lastly, I would like to thank the team and all involved in making the event this morning possible. Life is short and impermanent. Time waits for no one. Death is certain and the time of our death is uncertain. 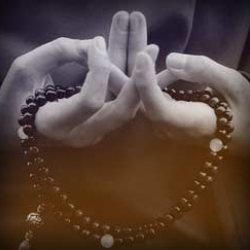 While I am still able to, I have chosen to go all the way in my spiritual practice. It took me, quite a long while to decide as there were many obstacles that I have to face. 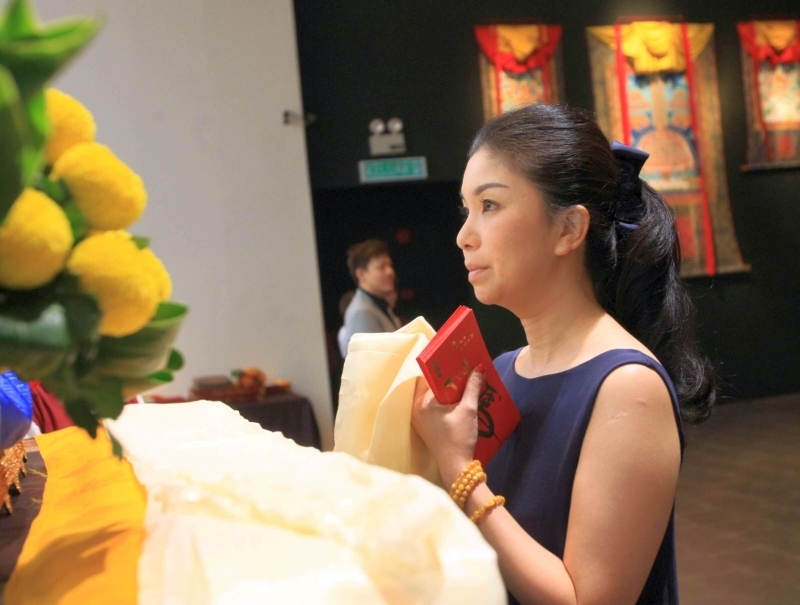 On hindsight, I realise that I have the affinity with and am extremely fortunate to have met and followed a qualified spiritual guide H. E. the 25th Tsem Rinpoche. 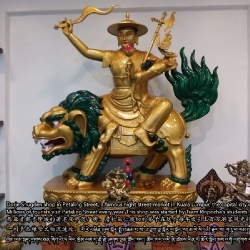 I have also met the incomparable and rare teachings of Lama Tsongkhapa that encapsulates the entire teachings of Buddha Shakyamuni who had turned the Wheel of Dharma 2500 years ago. 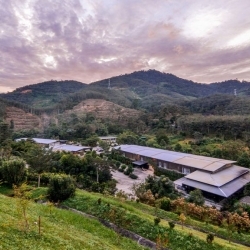 Finally I have the opportunity to practise Dharma full-time in Kechara, a Tsem Rinpoche organisation that had grown over the years since its inception in Malaysia as one of the most vibrant and foremost Tibetan Buddhist organisations in this region and around the world. 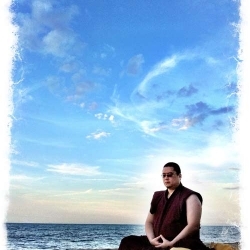 I have all the freedoms and endowments to practise Dharma. 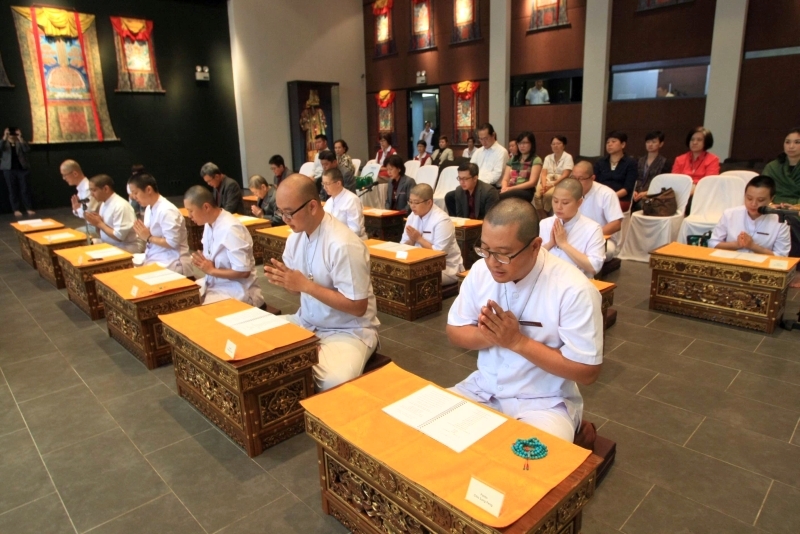 Today I have taken on the role as a Kechara Pastor and also to go one step further as a monk to be. I am glad I have made the right decision to go forward all the way in my spiritual journey as that would be making my life meaningful. Now I share with you a brief introduction to some of the fundamentals of Buddhism such as The Four Seals of Dharma. As we have limited time available here, we won’t be able to discuss in detail this important and profound topic as it is the summary of what Buddhism is all about. Compounded things means everything or all objects or all phenomena arise from the gathering of causes and conditions. Impermanence means these compounded things change or disintegrate when their causes and conditions are not applicable or valid anymore. An example to illustrate this is our life. We are born into this life as a human as a result of the causes and conditions that we had created in our past life. Our life experiences are not permanent. Every moment, we experience change. In our present life, each one of us goes through the life events of birth, aging, sickness and death. 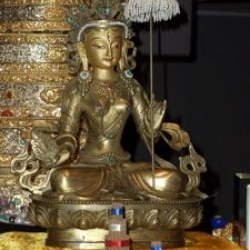 Due to impermanence, we experience pains or sufferings. It is due to impermanence too that we are able to transform ourselves to become a better person such as a Buddha, a perfect being. In other words, we can change the destiny of our life. It is easy to understand how negative emotions like anger gives us pain. But we find it difficult to acknowledge positive emotions like love and affection would give us pain. In reality even positive emotions give rise to pain eventually. Due to our projections, our mind perceives things mistakenly or our mind does not understand the nature of things. For example, a man might think a woman that he saw is beautiful. But others who have different projections of the mind than his may not see her as beautiful. All these projections give rise to emotions and everything we create through our emotions is in the end completely futile and painful. This is why Buddhists do Shamatha and Vipashyana meditations to help loosen the grip emotions have on us, and the obsessions we have because of them. In the first Noble Truth, the Buddha taught us to know and understand suffering. Many of us however mistake pain for pleasure—the pleasure we now have is actually the very cause of the pain that we are going to get sooner or later! In other words, this is to say that when a big pain becomes smaller, we call it pleasure. That’s what we call happiness. Due to our ignorance, when we see something, the object that we saw is interpreted as really existent or exist from its own side independently. The existence imputed is a mistaken assumption. It is like when we see a mirage, there is no truly existing object there even though it appears that way. Buddha taught in Emptiness Teachings that things do not truly exist as we mistakenly believe they do and they are really empty of that falsely imputed existence. We suffer because we believe in these confused projections or imputations. 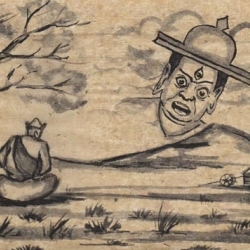 “Mind,” shows that the Buddha taught that there is a “mind.” This was to dispel the nihilistic view that there is no heaven, no hell, no cause and effect. When the Buddha said, “There is no mind,” he meant that mind is just a concept and that there is no such thing as a truly existing mind. Finally, when he said, “Mind is luminous,” he was referring to buddhanature, the undeluded or primordially existing wisdom. 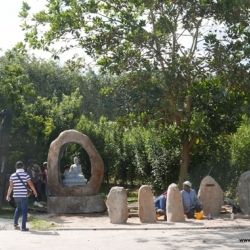 Nagarjuna said that the purpose of the first turning was to get rid of the non-virtue. Where does the non-virtue come from? It comes from being either eternalist or nihilist. So in order to put an end to non-virtuous deeds and thoughts, the Buddha gave his first teaching. 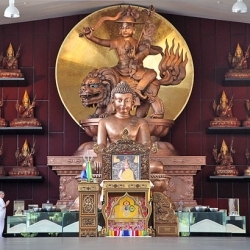 The second turning of the Dharma-wheel, when the Buddha spoke about emptiness, was presented in order to dispel clinging to a “truly existent self” and to “truly existent phenomena.” Finally, the teachings of the third were given to dispel all views, even the view of no-self. The Buddha’s three sets of teaching do not seek to introduce something new; their purpose is simply to clear away confusion. We somehow think that we can go somewhere where we’ll have a better life, a place where everything is there the moment you think of it. It is not that we are adding something new that was not there before. Nirvana is achieved when you remove everything that was artificial and obscuring. Buddhism helps us understand the truth. If there were some true permanence in compounded phenomena; if there were true pleasure in the emotions, the Buddha would have been the first to recommend them, saying, “Please keep and treasure these.” But out of his great compassion, he didn’t, for he wanted us to have what is true, what is real. 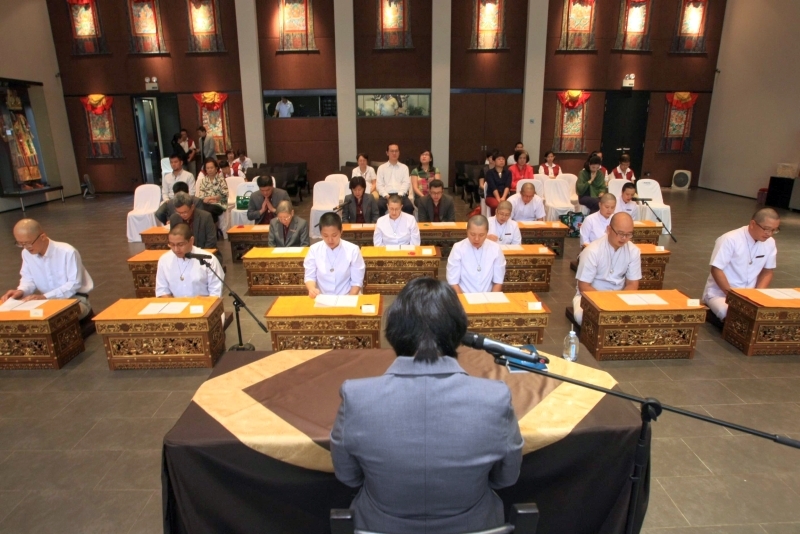 In conclusion, when we have a clear understanding of these four seals as the ground of our practice, we will feel comfortable no matter what happens to us. As long as we have these four as our view, nothing can go wrong. I would be vary interested in become a pastor and to be of service to others in my community. How is this done? Thank you. Dear Pastor Tat Ming, this is the clearest elucidation of the Four Seals that my unworthy ears have heard. Thanks for sharing. And I hope you join the Sangha soon to be a teacher of men and gods. Congratulations to Pastor Tat Ming on his ordination 🙂 there is so much to be proud of when I think back to this day! 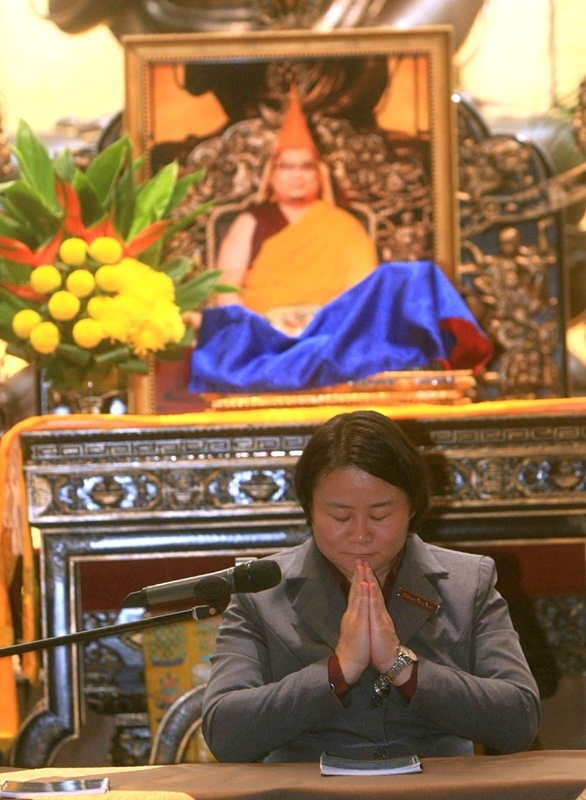 When Rinpoche first started the pastorship programme, there were the naysayers. 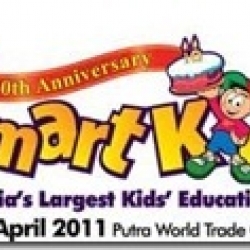 They said it would never work out, that the idea was too different, Malaysians wouldn’t take to it, etc. 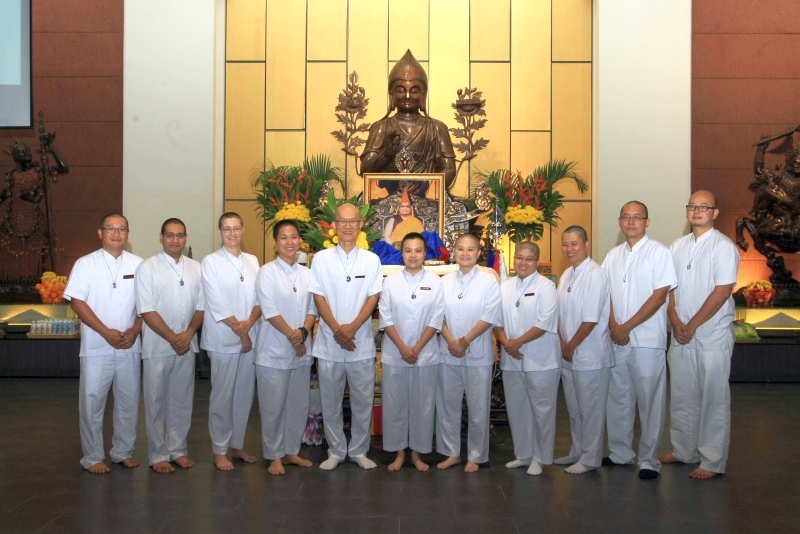 Well chickadees, the first pastors ordination ceremony started with just four people, and we now have 17 pastors…and there are more sangha-to-be than there are lay pastors! So why do I think this way? In taking the vows, the pastors commit themselves not only to upholding the Lord Buddha’s teachings, but also to spreading them. 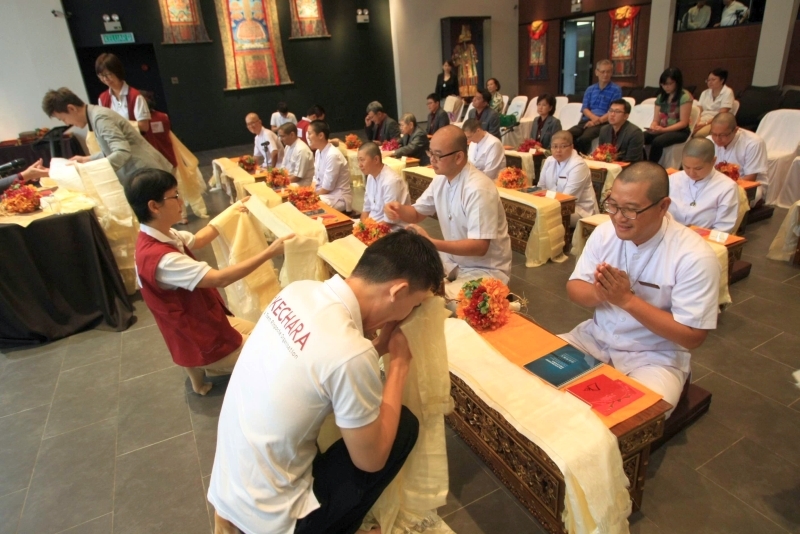 Since that is the essence of Kechara’s activities and the pastors take vows to commit to this, it makes sense to say that the pastors play an important role in Kechara 🙂 can lay people do this? Of course but because the pastors hold vows, their activities carry the blessings of the vows with them. Would I encourage people to become lay pastors? Definitely. When you take such an obvious step towards seizing responsibility for your and others’ spiritual practice, it triggers a change in mindset. I mean, just having the intent alone to work towards becoming a pastor will already push you in the direction of spiritual growth. So being a pastor offers you an opportunity to perform a self-check of your Dharma progress; if you are ready to be a pastor, it means you have moved on from the time you entered Dharma! And the change in mindset I spoke about? It’s best described by the advice Pastor Yek Yee gave us before she gave us our ordination vows. She said every morning when you wake up, make your first thought, “I will be of benefit to others” then start your day. Congratulations to Pastor Tat Ming on your ordination . Thank you for your sharing on the 4 seals . You have always been helpful, friendly and humble and I have loads of respect for you . I truly rejoice for you !! Congratulations to Pastor Tat Ming! 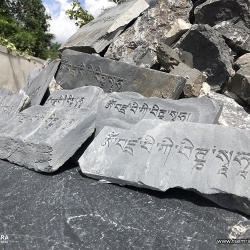 His dharma talk on The 1st Seal that all compounded things are impermanent and it is due to impermanence we are able to transform ourselves to become a better person and we can change the destiny of our life truly reflects on him. As he understands the nature of impermanence, he has decided to change his destiny for a better cause. I rejoice that he has chosen his path correctly and making his life more meaningful and beneficial. 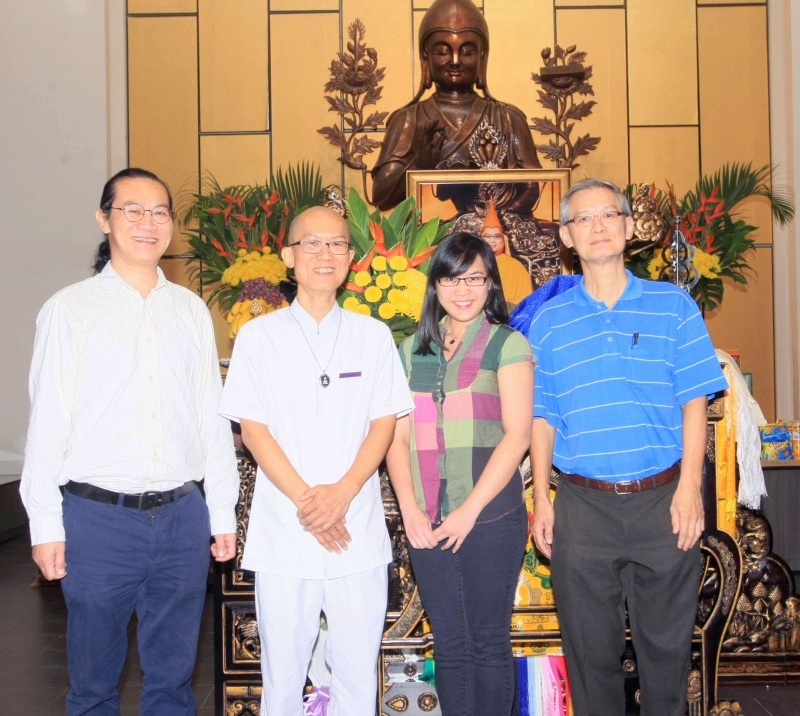 I wish you well in your spiritual journey, Pastor Tat Ming, and may you be an inspiration to others! 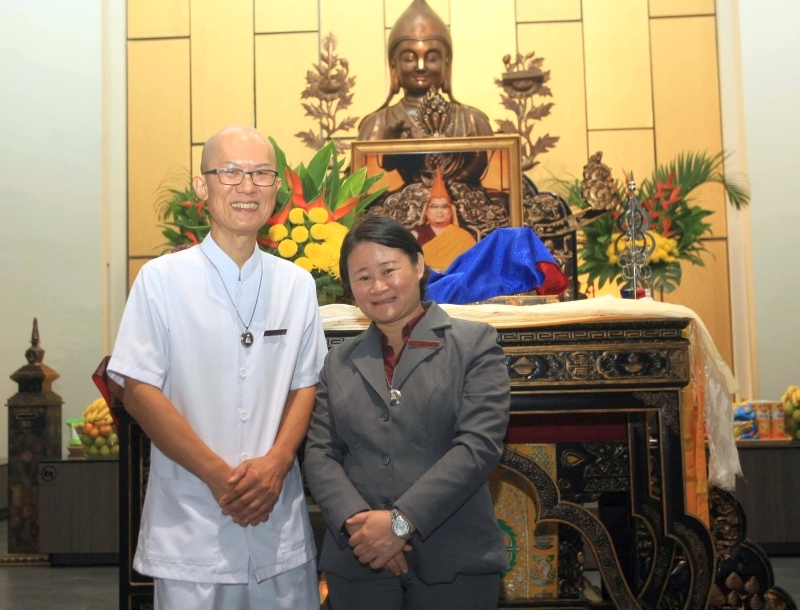 Rejoice for Pastor Lim Tat Ming , may all your hard work can help Rinpoche work to spread to more people. I rejoice that Tat Ming has merits to become a Pastor and Sangha to be and has seized the opportunity. Back to peeling the onion. Congratulations to Pastor Tat Ming!! 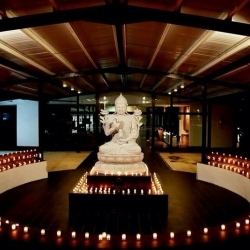 Thank you Rinpoche conceptualized Buddhist Pastorship at Kechara House. Pastors play very important role to assist Rinpoche in many ways like children blessing, house blessing, Pet blessing,conduct vegetarian vow, perform bereavement puja, hospital visit, counselling etc..
i have chances to follow Pastors to go for above services and i see the Pastors services really help family members to over come their sad moment, reduce their pain through Pastors care or counselling. 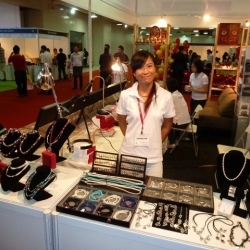 Many people cannot find the proper way to seek help when they are in difficulties. 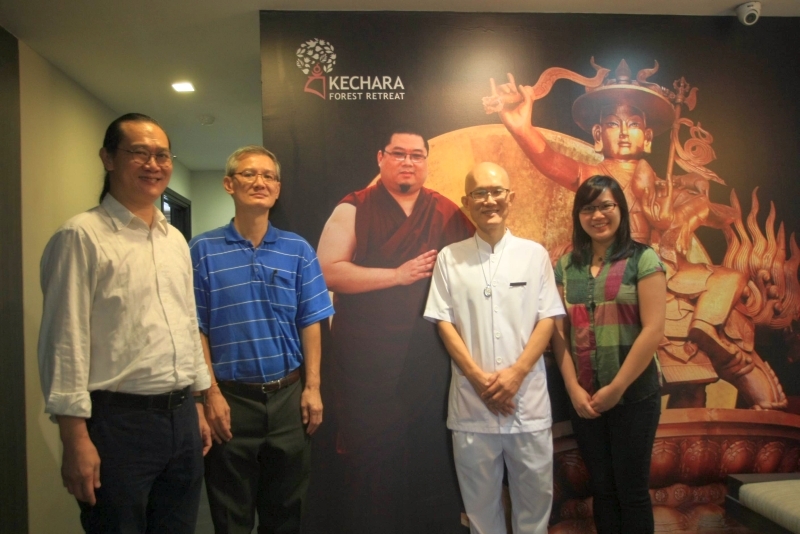 Kechara House Pastorship is a powerful platform to guide people through Buddha teaching. 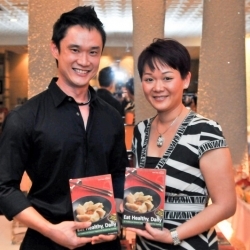 Rejoice Pastor Tat Ming on taking this first step towards full ordination in the future. May there be many more like Pastor Tat Ming to follow in his footsteps to be ordain in the future. Congratulations to Pastor Tat Ming!! 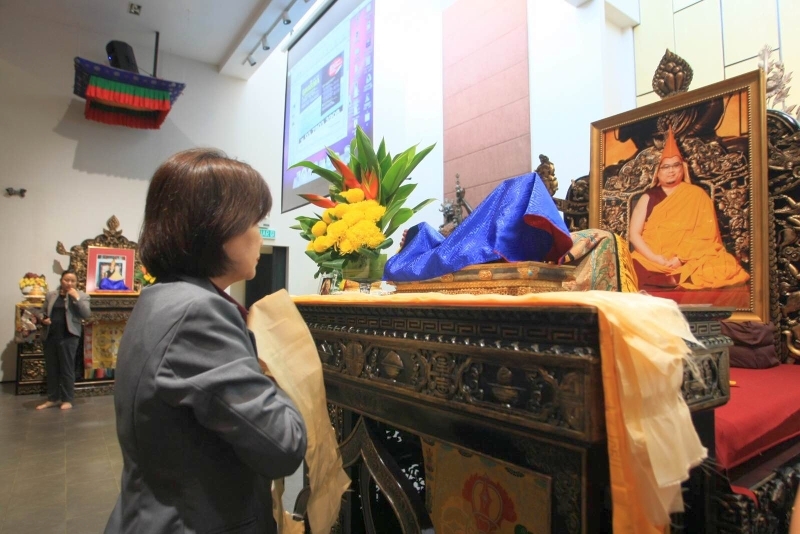 This is another example for us to emulate to begin our journey of service to others in our Dharma path. Congratulations to Pastor Tat Ming on this important and meaningful occasion. May his wishes be fulfilled.